I had the pleasure of interviewing the renowned stylist and creative director Jenke-Ahmed Tailly at the inaugural Luxury Connect Africa conference in Paris. Tailly has given a sartorial voice to the likes of Beyoncé, Kim Kardashian, Naomi Campbell, Iman and Natalia Vodianova during his illustrious career. 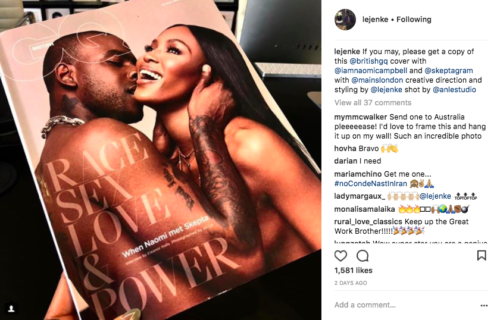 His creative vision has also been celebrated in the pages of Vogue (US, British and Italian) and notably he was the guest creative director of the French L’Officiel “Gang of Africa” issue in 2016, which had as its theme “black beauty matters”. Below is an excerpt of our conversation, in which Tailly talks about how Africa has always been an inspiration for his work, the rise of the star stylist, cultural appropriation in fashion and working with Anna Wintour. A recent post on Jenke-Ahmed Tailly’s Instagram feed. Q: Can you talk about how you got interested in being a stylist and working in fashion, where did your journey start? A: I grew up in a family of Senegalese women who adore fashion, therefore it has always been an important element of my life. In Africa fashion is a big part of the culture. Q: Was there somebody who particularly inspired you while growing up? A: My mother, her name was Therese. She is an extremely gentle, chic and elegant woman who is fond of Saint Laurent. I think some of the first words I was taught were “rouge à lèvres Saint Laurent” because she was obsessed with it. My mother wore beautiful traditional Senegalese outfits, I always loved her style and actually she was my first inspiration. Q: Did you ever get to style your mom? A: Since I was a kid, when there was a wedding or a family thing, I would help her choose the fabric customize her clothes, and we would go shopping together. My mom reached out for me and I reached out for her. Q: Seems like your family was very supportive of your decision to go into this field. Did they understand? A: I went to a Business School, although I wanted to go to Parsons. My mum told me there was no way we’d spend money on fashion studies, I had to study business. And so I enrolled to the University of New York with a major in Business Administration. I started my career as a model when I was still at university, for two years. Naturally, after my degree I started working in fashion, on the retail side. At first for Chanel, then for Donna Karan. We opened that really cool shop on Madison Avenue, which was the first designer lifestyle shop, I was proud of the team. Then, I moved back to Paris and became the youngest Marketing and Merchandiser director at Benetton. I worked closely with Mr. Luciano Benetton and I kept suggesting him to hire younger photographers, just like David Slims did for Benetton and Terry Richardson for Sisley. When I saw the shootings I thought “Whoa, this is really what I want to do”. So, I saved some money because I knew starting a stylist career was really tough, you have to build your portfolio. As it happens a good friend of mine had a magazine called Berliner, and I told him I would love an assistant job at his publication. He kindly offered me a fashion editor position and this is how I started. Q: We had this his whole period of the pop star designer and now it seems like it is the same thing with Fashion stylist who really become so dominant and important. A: It is a great question. Throughout my career, I have been offered to work on my own line and own collection but I felt like I needed more experience or more vision to really focus on what my line will be about. Then, there was this battalion of stylists and creative directors doing their own lines and I kept putting it off. But this year, I am really happy to announce that soon a big brand will be coming out with a line that they created for me. Q: You are pulling designers that no one have heard of, making them stars almost because you are putting them on people like Beyoncé, Solange etc. It seems that it has been a real focus for you that there is this diversity and inclusiveness. It is not just the top ten fashion brands that everybody knows. Can you talk a little bit about that? Is it strategic on your part? A: Yes, absolutely! The reason why we love what we do is because of the plurality of cultures, for me it is really important to seek new creative geniuses, that is what really fills me with energy. And it is also great to work with big brands because they have the structure and everything, but what really triggers my passion is these young people, not young at age, you can start your line at any age, but young because they’re doing something fresh. I have worked with designers like Alexandre Vauthier, when no one knew him, and many others. Q: Can you talk about how you find them, these young designers? A: Well, I am very curious by nature and when I go somewhere, I am not looking for the sophisticated places and things, but rather to see the young people, that don’t have the means, but have the vision. For me this is quite important. The September 2016 L’Officiel France cover that was conceived by Jenke-Ahmed Tailly. Q: Let’s talk a little bit about this cover I’ll never forget that you did for L’Officiel France called” Gang of Africa”. What was your goal with that? A: Well, Marie-José Jalou gracefully invited me to be the guest editor-in-chief for the September issue. 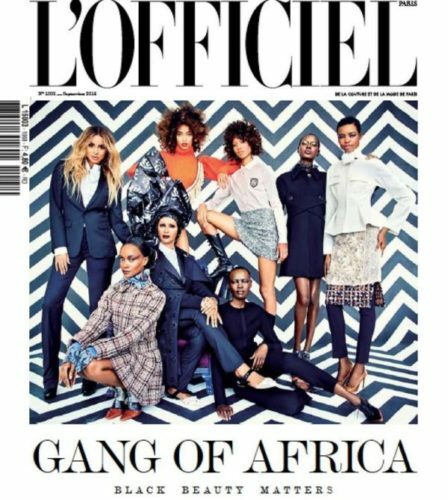 And just like the way I imposed Beyoncé for the 90th anniversary L’Officiel cover, I told them I would love to do it, but I would like to do a special Tribute to Africa, I’ll call it “Gang of Africa”. At the time the slogan “Black Lives Matter” was really becoming known, so I made the argument that black beauty matters as well. I wrote the whole magazine concept thinking of people like Iman and Naomi, who were some of my first inspirations. It was such a great moment. And, they say that black people don’t sell, well the magazine was sold out after two weeks. So, thank you for the support! Q: Any other reactions or feedbacks you got from that issue? A: Well, the September issue comes out in August. As you know, Paris and Milan close down basically so I came back from vacation and there was a bunch of messages from people who loved the issue. My team and I were really blessed. I mean the whole of Paris was like “whoa what is this?” they have never seen such a thing before, especially for the September issue, which is the benchmark of the Fashion Industry so it was quite amazing. After that, I saw that Madame Figaro did a special Black issue, and at the end of the year we also had a two page article in “Le Monde” talking about that issue, so it was great. 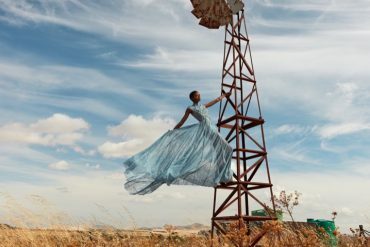 Q: How do you see the Industry as a whole reacting at fashion that is coming from Africa? There is a lot of appropriation of the African codes. But, let’s talk first about the African brands. How do you see them evolving? What should they be doing to get more world exposure? A: I have been to a few Fashion Weeks across Africa and what I find is that there is a lack of understanding of how the business works. It is great to invite personalities etc., but at the end of the day fashion is about art and commerce. So I think they need to be more in touch with the retail system and the commercial calendars to see when collections should hit. Then, have buyers and store directors come to the shows, to further develop the retail side. Q: What about Instagram? What about social? I mean there is a lot of smaller brands that are getting known just for that. Is that the avenue? A: This digital revolution, I compare it on some levels to the Industrial Revolution. It is shifting the way we think, the way we do things, the way we see things. With internet people have access to everything. My little cousins and nephews in Abidjan or Dakar, they are aware of things faster than me sometimes! Not only do designers have the visibility and have the platforms to show their contents and their works to the world, but they also have access to examine what is going on in the world and adapt it to their own brands. Q: So, let’s imagine I have a young brand and I want to reach out to you. I think I am amazing… What is the best way to get in touch with you? Is it Instagram? A: Yes, but unfortunately, I can’t answer to all the messages I have to filter them. But in general I am quite accessible, I like to meet new people and to give advice to young designers. Sometimes, it is not only giving advice, it can be just sharing your story with them. To show them that if I can do it, you can do it as well. There are so many great strategies you can come up with today using the digital transformation to get the right people so see your work. Q: Let’s go back to this idea of appropriation. Can you talk about appropriation? How do you see that being played out in the Fashion Industry? A: It is a very interesting subject. As a stylist, I get inspired by so many cultures. What is really sensitive, in particular with Africa, is rooted in our history, because of slavery, because of colonization and because of other things that have happened in the past. We feel like our culture is sacred to us. And, what is really sad is that often when people go and get inspired by African culture, they don’t research enough to learn what is appropriated or unappropriated. That is one part. The other part, which saddens me, is when I attend a show and I see a collection and I can’t help but wonder where they are going to say they got this inspiration from. And most of the time, they would mention something completely different, and people have no clue they aren’t being told the truth. Q: Why would they say something false, or cite a different source? What are they worrying about? A: Because it’s fashion, it’s like cinema, you have to give a flair. Unfortunately, it is true. 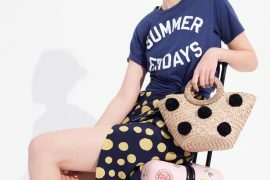 When these designers go to Africa to do research, they visit markets or artisans who developed their own technique and they would just buy the product and appropriate it themselves. It means that when they come back they would basically copy the product or the craftsmanship. I would be happy if they mentioned it in the story, just to tell people where they really got their inspiration from. I call it out all the time when I see it. Q: How do you call it out? A: I’ll go to the designer and I’ll tell them. I’m notorious! I’ve done it several times, and then I didn’t get invited to the next show. 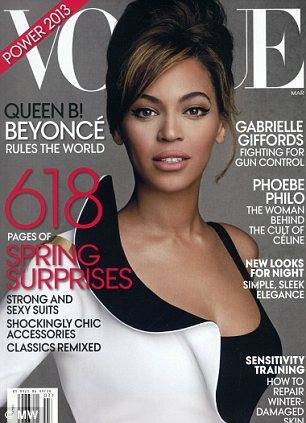 The American Vogue Cover where Beyoncé is wearing a dress by Riccardo Tisci for Givenchy, styled by Jenke-Ahmed Tailly. Q: Can you give me one success story? Something that you are proud of or somebody you almost picked out of nowhere and who became really well-known thanks to your golden touch? A: I’ll talk about Riccardo Tisci for Givenchy. I found out that Anna Wintour was not getting his vision at the beginning of his time at Givenchy, and she was not being very supportive. But then I styled Beyoncé, after she’d had her first baby – to show that beautiful body she had – in that Givenchy couture dress, it was the first time she wore Givenchy couture on the red carpet. It was one of these “wow” moments. After that, all of a sudden Riccardo started appearing in Vogue. When I did the Vogue cover of the March issue, which was the power issue of Beyoncé, I told Anna that she should be wearing Givenchy, and Givenchy it was. That is a great story. For Beyoncé’s second Vogue cover, she was saying “Whatever, Vogue is Vogue”. She was busy but Anna really wanted her to do that cover. I was invited to see Anna in her office at 2:30pm. When you’re invited to meet Anna, you have to come 30 minutes early. But then, when you work for Beyoncé, you’re working 20 hours a day. I was still at a meeting with B, and Vogue people kept calling asking where I was at. I simply answered “Beyoncé pays my paychecks, so I’ll be there when I’ll be there”. So I made Anna wait. Anna’s office at Vogue is very intimidating because you have to walk a long hallway before you get there, as if you were going to the Vatican. I came, sat down, crossed my legs and said “Hi Anna, I don’t have a lot of time, but do you want to pitch me?”. I am telling you, it was a moment. She asked me for those two things: the cover and for Beyoncé to be part of and advisory for the MET. I said I can help her accomplish that, but that one day I’ll come asking for a favor in return. We shook hands on it. I haven’t asked her the favor yet, but I’m thinking of inviting her to Africa, I think that will be the favor. Q: One last question. What advice would you give young African designers and stylists who want to break into what you do ? A: Believe in yourself. Like what is your idea of beauty, what is your sense of aesthetic. You need to be true to who you are. That is the advice I was given by my mentor and that is the advice I give to everyone I meet.